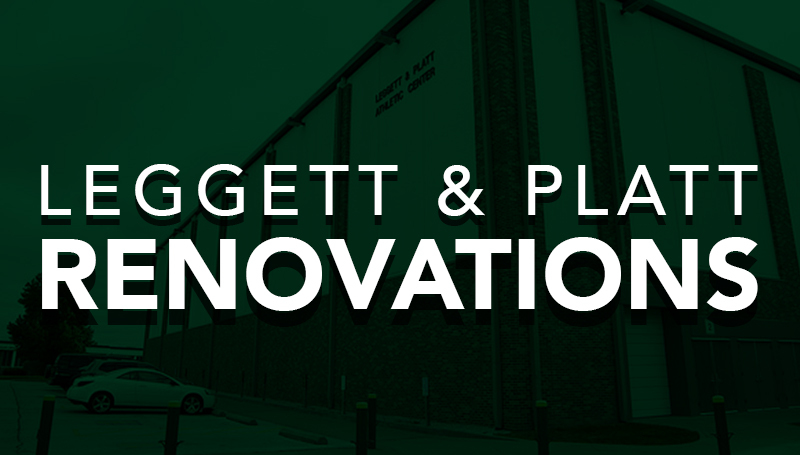 The Leggett & Platt Athletic Center is receiving some long-overdue renovations. Upgrades to the training and weight rooms include new lights, carpeting, windows, doors, wet room tile and new HVAC. Work is also being done to replace the lighting system in the main part of the facility, which includes new computer-controlled LED lighting. The new lighting system will make it possible to dim any or all lights at a given time, and then start them back up without any delay – something that will greatly enhance the use of the video board for player introductions or other special occasions. Cost for the improvements tally just over $45,000 and come from a variety of sources, in particular donations from the Lionbacker membership. “We are always excited about the enhancement of our athletic facilities,” said Jared Bruggeman, Missouri Southern’s athletics director. “The changes we see in the training room are substantial for the health and safety of our student-athletes. We are able to provide a higher standard of service and an overall championship experience for our student-athletes.